In 2017, award-winning Condé Nast Traveler magazine ranked Amman as one of the top 15 cities worldwide where you can indulge in some of the best street food. Jordanian cuisine is pleasing to three of our five senses: sight, taste and smell; it is colourful, flavourful and aromatic. If you walk around the Jordanian capital, sooner or later, you’re bound to spot a street vendor with a food cart. But what foods can you treat your taste buds to from those carts? We’re listing our favourite ones below. 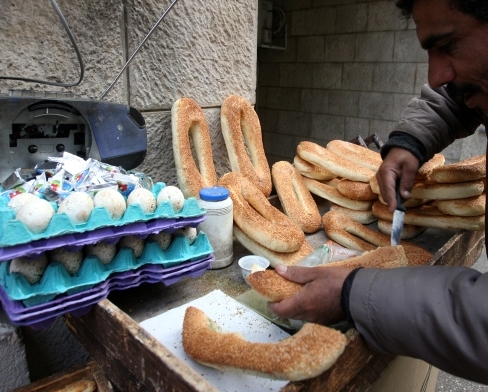 Ka’ek is simply the name of a popular type of bread in Jordan. It is soft, heavily sprinkled with sesame seeds and has a distinctive shape. Street vendors will usually offer one of three things to put in your “ka’keh”: boiled eggs, cream cheese or za’tar (thyme). Try one of each and you will thank us for it later. 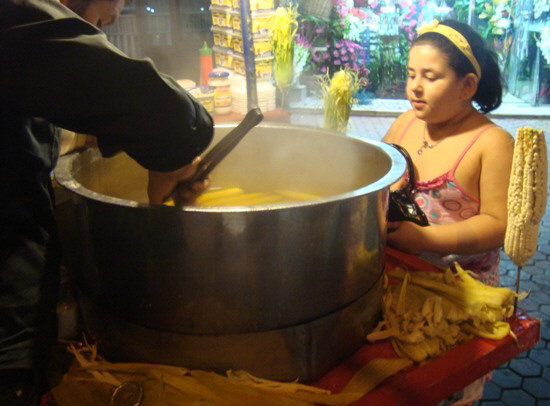 As kids, we used to long to hear the voice of the street vendor calling out the words “dorayeh, dorayeh,” which translates into “corn on the cob.” On this trolley you will find boiling water inside a large metal pot, and different sizes of corn floating inside. Ask for the size you want, sprinkle it with some salt and you’re good to go. That’s a smile on your face for the rest of the day. 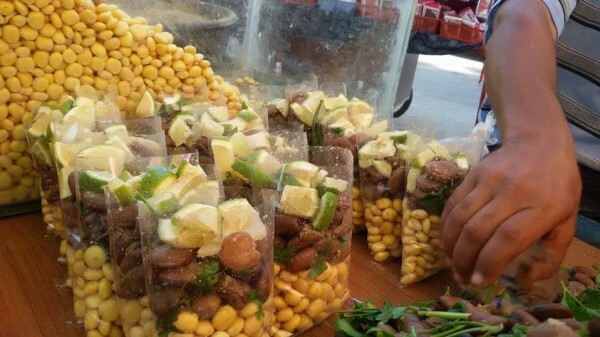 You’d be a "ful" not to try the delicious brown ful, aka fava beans, from a street vendor. Freshly prepared and soft in texture, street vendors bring those beans to life by adding lemon juice, cumin and salt to them. The result? An explosion of flavours in your mouth. As you can tell, we’re into our beans. This time yellow ones known as Lupini beans. Not much needs to be done to these little pieces of heaven; after boiling them in water, street vendors add a little bit of salt to them and voila, eat them up and enjoy. 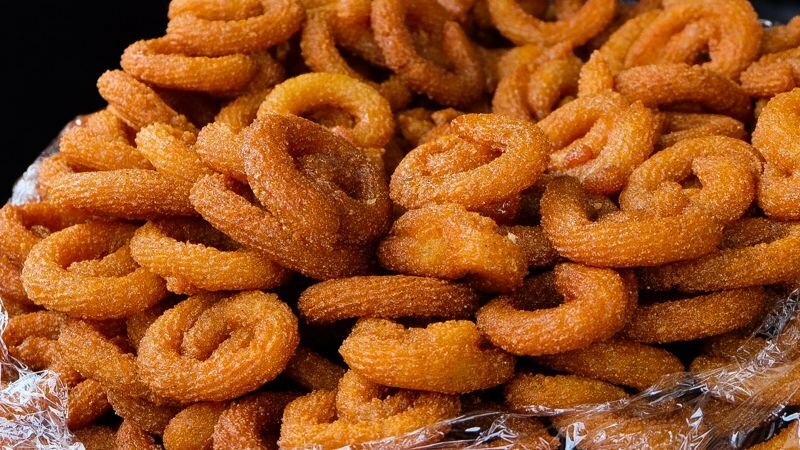 You can’t travel to Amman and leave without trying our version of Churros. Karabeej Halab have a similar texture to their Spanish counterparts, except they might be a little more crispy. The basic ingredients that go into making them include semolina, flour, aniseed and fennel, and once they come out of the fryer, they’re dipped into a syrup bath. We’ll leave you to do the rest. Who doesn’t like to eat candy floss every once in a while? 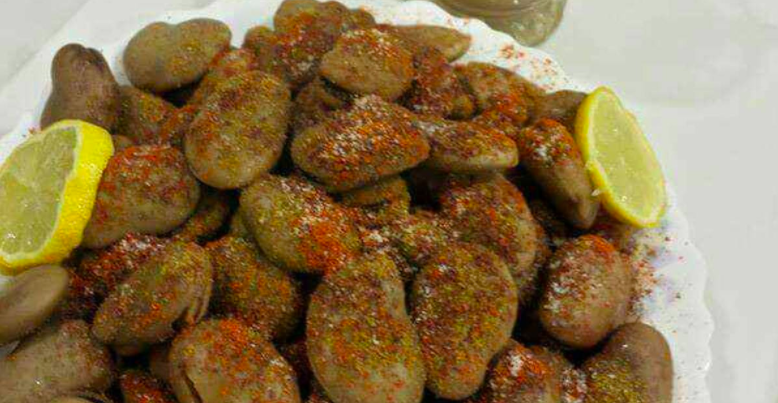 In Jordan, this sweet treat is called “sha’r el banat” (girls’ hair). 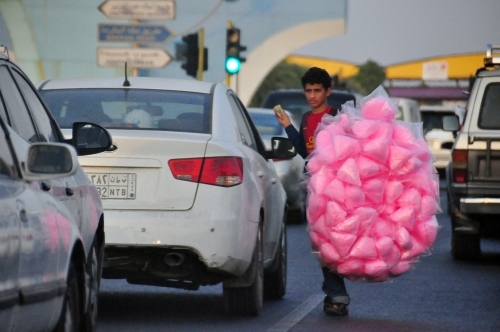 A man carrying a bunch of them in plastic bags, lined up on long wooden sticks, will walk the streets and declare his arrival by playing a distinctive tune (which all candy floss vendors play) on a flute-like instrument. Depending on what month it is, you're guaranteed to find a street vendor selling all the fruits (and veggies) of that season on their trolley. 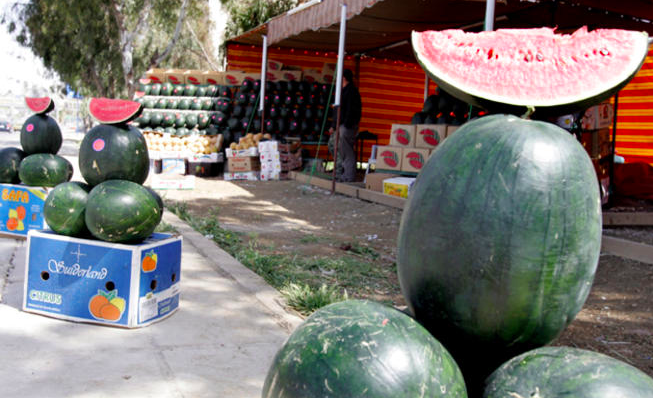 Come summertime, you will see huge tents set up with plenty of watermelons inside, waiting to be taken home and complemented with some traditional white cheese.